Lockheed Martin will unveil its next generation air and missile defense radar demonstrator at the annual Space & Missile Defense Symposium this week in Huntsville, Alabama. Lockheed Martin’s radar technology demonstrator is being developed to serve as the next generation sensor specifically designed to operate within the U.S. Army Integrated Air & Missile Defense (IAMD) framework. “Incremental upgrades to the existing Patriot radar no longer address current sustainment issues, current threat performance shortcomings, or provide growth for future and evolving threats,” said Mark Mekker, Director of Next Generation Radar Systems at Lockheed Martin. “Lockheed Martin is prepared to offer a next generation missile defense system that will leverage advances in radar technology to provide a modular, scalable architecture and reduce the total cost of ownership well over its 30 year lifecycle,” he added. Lockheed Martin's active electronically scanned array (AESA) technology incorporates gallium nitride (GaN) transmitter technology and advanced signal processing techniques including recently developed and proven 360 degree sensor/fire control algorithms based on advanced threat sets. These technologies and concepts have been fully integrated into both demonstration and production systems resulting in the industry's first fielded ground based radars with GaN technology. 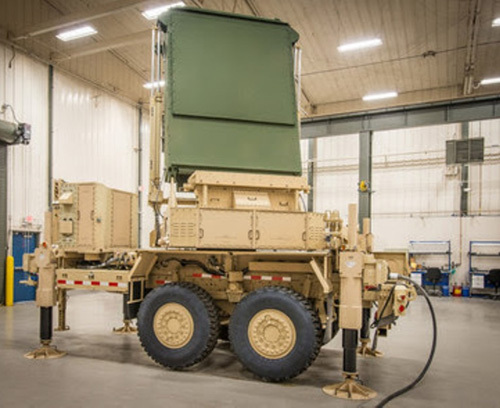 The AESA technology is also in use in the AN/TP/Q-53 radar system, which Lockheed Martin designed, developed and delivered to the Army on an urgent need timeline in less than 36 months, and which continues to be scaled to address emerging threats.